Lowe Profero and Johnson’s have created a portal for new parents. As the majority of new parents will confirm, the most challenging experience of caring for newborn babies can be a lack of sleep. To assist them at this critical time, Johnson’s baby has unveiled the latest project to complement their best-selling baby range. Created in response to research into the problems faced by parents dealing with sleepless nights, a unique online portal called Night Light offers support, advice and comfort during the crucial and often demanding night hours. Created in partnership with Lowe Profero, the digital arm of Lowe and Partners, Night Light features a dedicated chat room for parents to talk and offer support to others facing sleeping issues in real time. A welcome helping hand, the chat room offers an instant alternative to parenting forums where conversations and responses can often take hours or days. Complementing the chat room, Night Light features a reading room for parents to discover, share and browse a wide range of content and articles relating to baby sleep and other topics. The reading room contains a comprehensive range of content from the lighthearted and entertaining designed to ease stress, to useful tips for helping to settle their baby. In partnership with family healthcare provider Tresillian, it will also offer Night Light members instant access to a dedicated pediatric nurse between 5pm and 11 pm. Night Light runs on any device making it perfect for mums doing research during the day or pacing the nursery with a phone in hand at night. Miki Dosen, group marketing manager for Johnson & Johnson Pacific said working with Lowe Profero to create Nightlight added a fantastic online extension to their market-leading baby range. 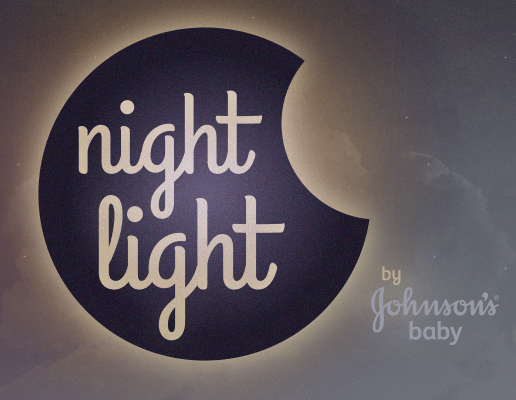 “Johnson’s baby is committed to the health and well being of both children and their parents, and Night Light offers another way to help out at this crucial phase of parenthood,” she added. Lowe Profero’s Australian MD Dave Bentley said the launch was a successful continuation of a long and enjoyable partnership designed to create a useful and engaging digital content for Johnson and Johnson. “Night Light is a considered and genuinely valuable solution to the problems faced by parents of newborn children. Even just talking to other parents in the office showed us there was very little real-time support in this area. “It’s something I know my family would have felt was invaluable, ” he added.